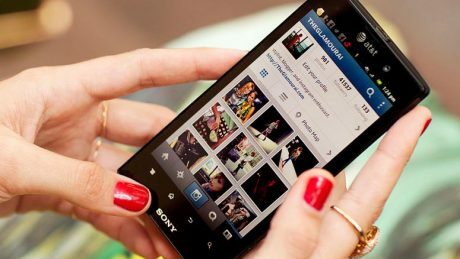 In the 5 short years since its launch in 2010, Instagram has accumulated more than 400 million active users on a monthly basis, and is worth a whopping 35 billion USD. And not without reason! Initially a trendy iPhone photo-filter app that makes squidgy pictures look studio-stunning, Instagram is now used by millions on the planet who post everything from what they’re wearing, what they’ve eaten today, down to what the clouds look like. There is, however, a whole lot more to Instagram than meets the eye. As a photo-sharing platform, Instagram has proven itself to be a highly useful tool that businesses around the world have learned to utilize for public relations purposes. Instagram has now settled into becoming the lead visual tool which people, and businesses, can no longer ignore. Businesses use Instagram to convey an idea or key message using an image. Images are far more engaging and effective than text alone. Visual promotion is always what captures and captivates audiences — and as the old cliché goes, a picture really is worth a thousand words. These Images, particularly when coupled with company branding, create a more emotional and hence personal connection between the brand and the multitude of current and potential customers on Instagram. The app is constantly updated with a multitude of features that allow for user engagement, including tagging, sharing, and leaving comments. The beauty of this feature is that it allows for businesses to reach out to others and make valuable connections which all lead to the one thing PR agents try to achieve; create networking opportunities in a thriving arena. Instagram is compatible with the world’s largest social media platforms – Facebook and twitter, making synchronization of company messages across platforms as easy as the tap of an icon on the screen. In 2015, they introduced sponsored advertisements – a valuable tool for outreach from both a marketing and PR perspective. You can utilize the 15-second video element with this tool. Certain companies will naturally benefit from Instagram more than others – beauty, fashion, food, wedding, interior design and travel industries for example, are always complemented with a strong visual aspect, and are indeed the most abundant and highly-followed accounts on the platform. But that doesn’t mean other brands can’t benefit from Instagram. Like all things PR, it is a matter of thinking ‘outside’ of the box. The key is how to leverage your posts — if you are creative and original and authentic, your can make your brand an Instagram sensation. It’s all about the story you can tell using your images. When uploading your photos, make sure you use hashtags so that your photo can be easily found by someone who is interested. Keeping a hashtag strategy is excellent, but #don’t #overuse #hashtags #please – it can get a little annoying. Make sure you tag all the necessary people and entities. Try to engage with others. Comment on and like their photos, or tag them in things that may concern them. This helps keep the personal connection alive. Take behind-the-scenes images. Fans and followers love the exclusivity of seeing what’s going on in your brand’s culture. For most, a brand is more than a product or service; it’s a way of living. Your photos on Instagram help embody the lifestyle. Keep a regular schedule because your followers will rely on your content and expect it. If you don’t post regularly, you risk losing your follower’s interest, and also your followers in general. Try not to spam the timelines. If you post more than 5 images a day, you’re bombarding. Gently does it, okay? Always think of new and innovative ways that you can engage people with your brand and get them to interact. The platform is yours, so go crazy – host contests and fun competitions, repost fan images, post behind-the-scene images from your company for a personal touch, or campaign advertisements. There’s no limit with what you can do in that small instagram box if you’re in PR. If your company is participating in any social initiatives or other altruistic causes, Instagram is a great platform for promoting it, engaging with the public, and organically expanding your networks in the digital world. Because of the rapid adoption of the mobile phone as the ultimate source of social media interaction, diminishing patience for long or monotonous texts, and with billions of users daily, Instagram definitely a platform in for exploration and utilization.